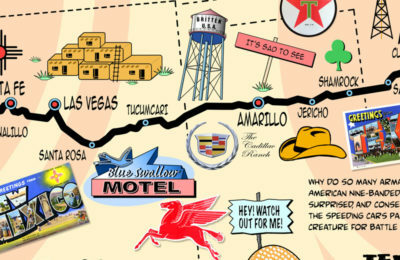 I created the Historic Icons of Route 66 Map as a special commission for the book, Legendary 66: A Journey Through Time Along America’s Mother Road. It features a 1936 alignment of the “Mother Road” as documented by a Shell Oil Company roadmap of the age. It also features an entertaining roster of famous sites (both past and present) found along the route. 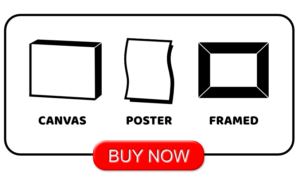 Take a historic time trip through eight states and three time zones without burning a single drop of gasoline! 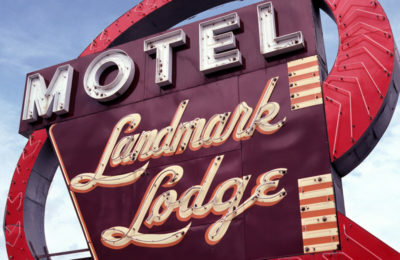 Dine on interesting historical tidbits and learn about the Route 66 highway. 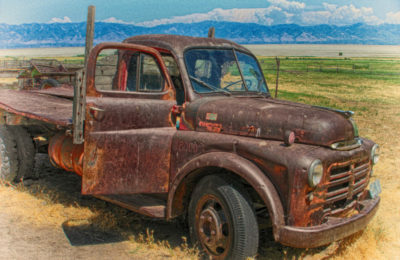 Revisit a transcontinental corridor that took travelers all the way from Chicago, Illinois to Los Angeles, California. Behold the legend of the road itself. 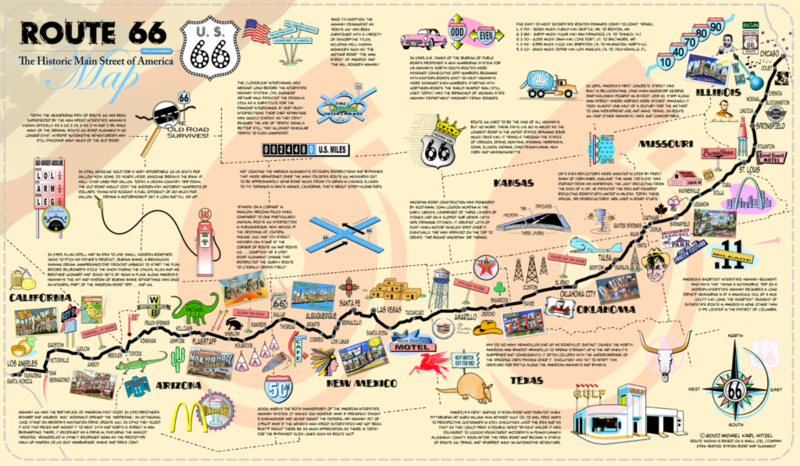 A fantastic addition to any Route 66 collection or man cave, the Historic Icons of Route 66 Map is chock full of colorful memories. 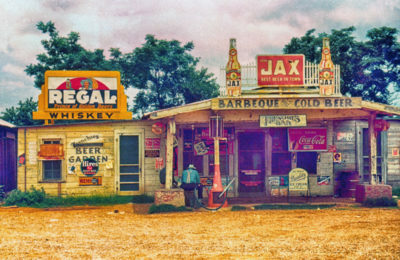 It recalls a simpler time in America when people “got their kicks on Route 66” in real life. Long before the distraction of smartphones and “social media,” this map represents the golden age of the American road trip, a time when the ride was more important than the destination.